It may seem odd to share the verse from above in a post on Palm Sunday but in Matthew’s gospel, this story happened on Palm Sunday! Jesus entered into Jerusalem to the shouts and praises of an excited crowd. Coats and palm branches were strewn on the ground in front of him as a way of honoring him. It seems like everyone loved Jesus! Perhaps that’s why Jesus went straight to the Temple after things had calmed down a bit. It must have been exhilarating to have people so excited about him. It must have been uplifting to have them want him to be their king. It must have been tempting to simply bask in the offer of becoming the kind of leader they so wanted him to be. So Jesus went to the Temple to get regrounded. It represented the place most focused on God’s role at the center of his life and the life of all of Israel. It was the logical place to go to regroup and refocus in ways that allowed him to shed the temptations to simply be what people wanted him to be and for him to remain true to who he was and focused on why he had come in the first place. But when Jesus got there, he was immediately confronted with the sad fact that even the Temple culture needed to regroup and refocus. Instead of everything about the Temple fostering a way of giving God full attention, what Jesus found was a market and moneymaking things that had become way out of control. In fact, it was so bad that Jesus was more irritated than helped by his time there. And so in frustration he ran through the market, turning over tables and kicking everyone out. 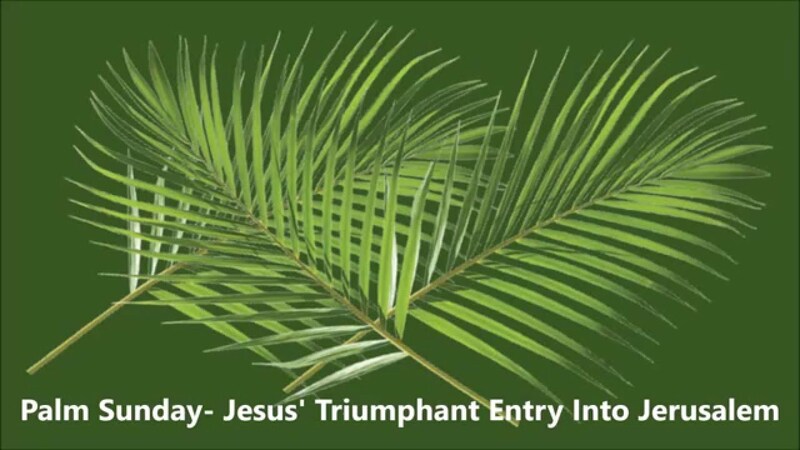 This incident is as central to Palm Sunday in Matthew’s gospel as the triumphal entry and the branches waving as people praised Jesus. Jesus remembered who he was and what he was about – even when the world around him was hoping for something else, tempting him to become something else, and even opposed to what he was up to. That’s why Jesus died. When humanity asked Jesus to be something he wasn’t and hoped he would settle for being a good earthly ruler, Jesus said “no” and instead focused on being a history changing savior. The people turned on Jesus and nailed him to a cross. But Jesus didn’t turn on them. Three days after the people would be finished with Jesus, the risen Jesus was back at work bringing peace where there was no peace and life where there had only been death. This is the message of Holy Week.